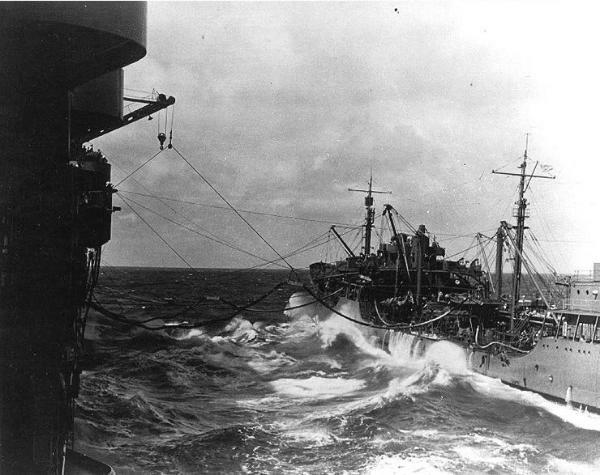 "The Fat Lady" Neosho (AO-23), right, refuels the carrier Yorktown (CV-5), left, in the Coral Sea, May 1, 1942.
morning, May 7, 1942. The American torpedo bomber visible in lower foreground is a TBD "Devastator". 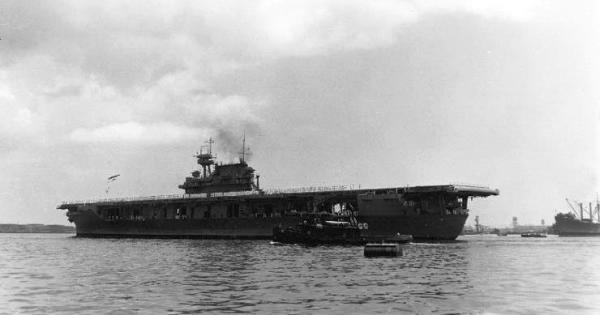 during World War II. 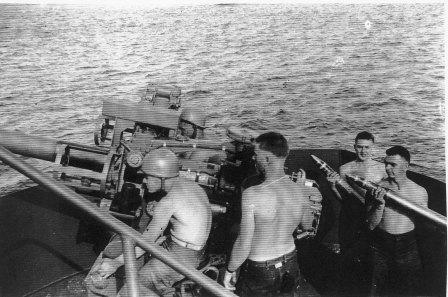 At center, standing, is gunners mate N.A. "Stretch" Brown. 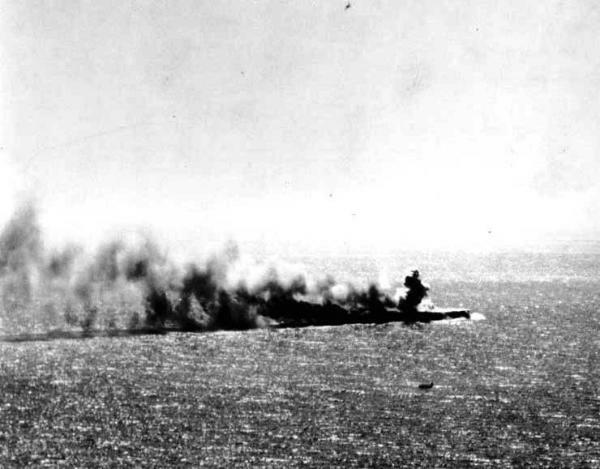 Lexington (CV-2) crew abandons ship after the world's first battle between aircraft carriers in the Coral Sea, May 8, 1942. 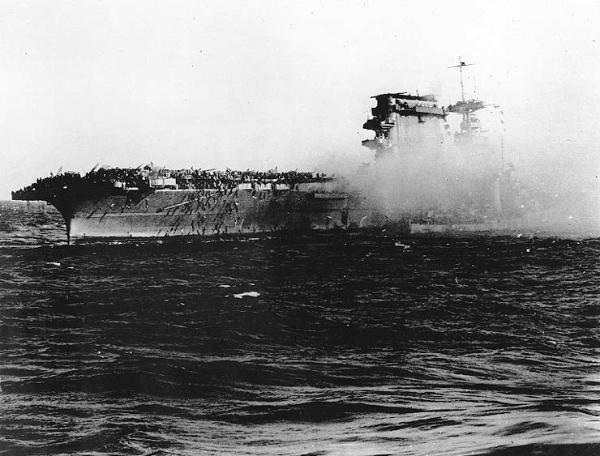 After 101 days at sea, Yorktown (CV-5) returns to Pearl Harbor for repairs, May 27, 1942.
is visible in the distance at right of the carrier's stern. Tugboat in foreground is Hoga (YT-146).